In the opening scene, our main protagonist narrates what his father was like when he was a child. His father worked many long hours to provide for his family. He didn’t see them often, but he made it a point to drive home when he had time off. One day he fell asleep at the wheel of his gas truck, ran it through the house, and no sooner did he say, “I’m fine” the tank explodes, leaving the family fatherless and homeless within a few seconds. The scene is played strictly for laughs and has a dark sense of humor about the predicament. This is also the sort of setup that gives the audience a perfect idea of what they’re in for, and whether or not they will want to be on that ride. As such, “How to be a Latin Lover” is one of those movies that neither reinvents the wheel nor does it try to be anything it’s not. It knows what it is and it is up to you to decide whether or not you’ll enjoy yourself. This is also the type of movie where reviews are maddening and almost pointless. For it is not the critics opinion of the film that matters much as does his EXPERIENCE that will help the reader determine whether this is the sort of thing they will like! Terms like “it’s a good-hearted comedy with a hint of Adam Sandler thrown in the mix” might read good on paper (as well as in a promotional commercial), but it is ultimately meaningless in the grand scheme of things. 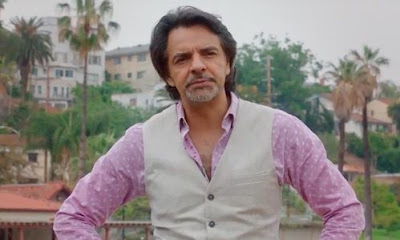 For that matter, enjoyment of the movie will largely depend on how much of lead protagonist Maximo (Eugenio Derbez) you will be able to take. For if the above scenario taught him anything, it’s that work is for suckers, and he sets out to marry a wealthy woman who can take care of him. So, in all respects he is a professional lover and gigolo, and he isn’t even the nice kind most of the time. When that situation goes south he finds himself sleeping on an air mattress at his estranged sisters house (Sara, played wonderfully by Salma Hayek) and her son Hugo (Raphael Alejandro). His plan to bounce back from life is to marry the grandmother of a classmate his nephew has a crush on. His nephew is into nerdy, science stuff though, and we all know that girls never find that kind of man attractive (ho ho). So, it’s up to Maximo to teach Hugo how to be a Latin lover and be a hit with the ladies. I think you all know where this is going, don’t you? By what little I’ve described I bet you even already know what the outcome is going to be. The trick for this kind of movie, I suppose, is to accept the predictableness of the affair and just go along with the flow. Most people seeing a movie like this aren’t look for anything deep anyway (that’s what Oscar season is for). What they are likely to gravitate towards is the humor, which is a little dark at times but usually within good spirits. I did enjoy seeing Maximo eventually connect with his nephew and sister and start to bond with his family. I knew it was coming, but these sort of things are always nice to see. There are scenes of crude humor that are not funny and a subplot involving men who are owed money that takes up too much screen time to have enough of a worthwhile payoff. But, again, it goes back to that opening scene. It says everything that needs to be said about the movie. 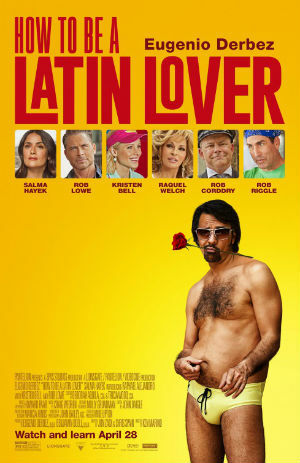 I have no illusions that the future of “How to be a Latin Lover” is in streaming and cable. It’s the movie people will stumble upon, watch for about five minutes out of curiosities sake, and then know what they’re going to get and whether or not that is something they want to consume. At this point I could end with a gag about Taco Bell food, but I think Latino’s would be offended if I made any joke suggesting they served ‘food’ at all. Parents, there is a LOT of sexual content and humor for a PG-13 film! Most of it with a dark edge. Consider that your warning if this isn't your thing. Recommended for ages 15 and up.